HSBC Bank ranked top in the latest Forbes 2000 listof world's largest companies and the Best Foreign Bank* in Malaysia. For over 120 years, we've been growing by recognising and cultivating potential. So if you want a career in a leading financial institution - we want you. HSBC Bank ranked top in the latest Forbes 2000 list of world's largest companies and the Best Foreign Bank* in Malaysia. For over 120 years, we've been growing by recognising and cultivating potential. So if you want a career in a leading financial institution - we want you. 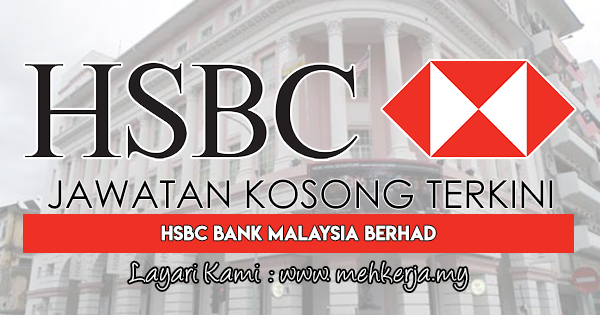 0 Response to "Jawatan Kosong Terkini di HSBC Bank Malaysia Berhad - 5 May 2019"